ABI's TestFlow, which is built into the SYSTEM 8 Ultimate Software, will dramatically improve your repair process, increase your productivity and protect your expertise. You will be able to create interactive, step-by-step workflows where all your test results, PCB documentation and instrument setups will be safely stored for future use. 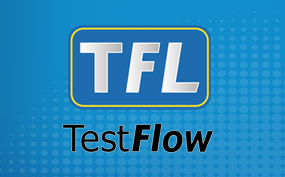 With TestFlow, 100% of your time will be dedicated to what really matters: testing and troubleshooting PCBs! When your test is finished, a comprehensive report will be generated showing detailed information regarding each test done. TestFlow will not only speed up your repair processes. By recording each step and action you take, the risk of taking inaccurate measurements when the next similar PCB comes in will be greatly reduced.